This article is the third of Kara Anderson’s ongoing series on contemporary artificial intelligence and its implications for humanity. Movies often inspire the development of technology. For instance, the mobile phone was first seen in Star Trek, whilst wearable technology was first seen in Back to the Future II. Thus, science fiction movies go a long way in technological development and help explore the possibilities for Artificial Intelligence (AI). 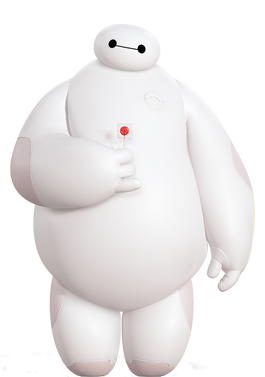 A recent and relevant example of a movie that provides us with technological solutions is one of Disney’s most lovable characters, Baymax: a personal health robot. Such AI technology would have to intake and process new information (learning) through various types of creative processes, and act on this information in order to make decisions and solve problems for people in need of medical attention. So the implications of creating a real life Baymax are powerful and life changing in that they address a series of social, economic, and political questions. The ability to process new information and act accordingly makes a machine truly intelligent and useful. But decision making is more than simply a cognitive process or a practical component to navigating daily life. It is a defining aspect of what it means to be human, according to both the scientific and humanistic communities. In AI’s pursuit to replicate the human mind, the primary goal is to equip machines with this purely human ability to choose. For many, developing decision making capabilities compromises and even threatens this understanding of a quintessential human. If machines are able to harness this purely humanistic and supposedly natural ability to choose, then what does it really mean to be human when this supposedly human quality can be synthesised in machines? This concern is blatantly obvious in Disney’s movie as Baymax appears human more often than not. Baymax functions independently, makes his own choices, and solves problems based on learned information; but he also becomes emotionally attached to his user, developing a sense of companionship. While Baymax’s emotional qualities are obviously exaggerated for cinematic effect, his ability to choose is something very real and reverent in the field of AI. While these concerns are legitimate, these questions overshadow the purpose and goals of these machines, which is to assist and advance humanity. Specifically, AI looks to perform tedious tasks so as to occupy humans with more critical issues, carry out dangerous jobs that are harmful to the human body, and most importantly, perform tasks that are otherwise impossible for humans. The goal of AI is not to create synthetic human beings, but instead to create practical and capable devices to solve plaguing issues through innovative solutions, such as in the medical field. AI is creating effective solutions for medical professionals and patients alike that go beyond the medical realm, creating implications for social and ethical realms. For machines to achieve these results they must possess the human capability to solve basic, everyday problems without human assistance, which includes the ability to choose and decide. Healthcare has recently taken center stage in the realm of global affairs, as both developed countries, most notably the United States, and developing nations, such as Chile and Mexico, are striving to create inclusive healthcare systems that are economically feasible yet medically meaningful. The United States has recently experienced a series of shocks to its healthcare system, which can be traced back to rapidly increasing insurance premiums that have excluded millions from coverage. In response, the Obama administration passed the Affordable Health Act or Obamacare in 2010, which provides coverage for a larger number of citizens. Logistically, however, many legitimate concerns remain. For example, a decrease in hospital resources like staffing shortages have occurred, and thus worries over healthcare quality deterioration have risen. This decrease in resources is a global issue that affects many hospitals for a variety of reasons, especially countries with national healthcare systems such as Canada and Great Britain. Financially speaking, staff cuts are common to account for an increase in lifesaving medical supplies and equipment. Overworked employees then inevitably demand higher wages that the system cannot afford. Thus, to reduce costs, maintain decent wages for medical workers, and maintain a high quality of care, new and innovative solutions are needed, and AI could be a partial answer. One of AI’s latest achievements is that of a personal health robot that learns the health information of its user, distributes medication, provides health counsel, and connects patients to medical professionals when needed. Not only will such devices eliminate the inevitable complications of human error and free up nurses and care takers for more pressing issues, but there is also the possibility that doctors can transfer some of their responsibilities (within medical and professional reason) to nurses. Doctors also have the chance to focus on medical research and preventative outreach. Essentially, if AI is able to take over more menial tasks, or even assist in more complex tasks like reading medical scans and x-rays, hospitals will be able to reduce some of their previous costs and address the shortage of staff. Medical professionals will also be able to treat patients more efficiently and rapidly, which could save the lives of millions. For machines to be able to assume responsibility for these crucial tasks, these machines must be able to replicate the intellectual processes of the humans they are replacing, which is where decision making and thus creativity and problem solving come into play. When an individual is faced with a decision, their first step is to determine the desired state or the final goal. In the case of patient medication distribution, the end goal is providing the patient with the appropriate medications to cure them. For the sake of this explanation, the patient will be a young woman with a sinus infection, so the desired result is to eliminate this infection with antibiotics, which the individual understands from the doctor’s prescription. While the decision maker here is not actively participating in any one area of creativity, the doctor’s order serves as the creative base here, as the doctor uses combinational creativity to cross reference the patient’s symptoms and decide the best course of treatment. Next, the individual must understand the relevance of the decision, which in this case is to eliminate the infection as not to spread nor provide further discomfort, as well as the possible consequences of making or not making a decision. If the individual chooses not to distribute the medication, the patient will deteriorate, causing the infection to spread and thus creating an array of other health issues. This consideration thus motivates the decision maker to dispense the medication with reasonable haste. The decision maker must then determine how to execute the decision, which requires an active use of combinational creativity. The decision maker must compare this situation to other precedents to determine what will be needed to distribute the medicine. Situations such as the recommended medication, water to swallow a pill, consideration of whether a patient has eaten, at what time of day the medication must be taken, the amount of dosages needed per day, etc. are all required for the execution. While this may seem like an over-analysis, these aspects are all essential elements the human mind considers when making and executing a simple decision. Aside from the desired effect, the individual must also consider possible obstacles, such as a patient’s refusal to take the medication, or that a patient might choke on his medication, making the medication unviable. These possible outcomes thus require a machine to possess the ability to restart the decision-making process and adapt it to the new circumstances while also considering the original circumstances and goal of the decision. Machines such as Pillo are starting to achieve these rather complex processes. Pillo is an in-home health robot, conceptually similar to that of Baymax, that uses machine learning, face recognition, video conferencing, and automation to manage an individual’s health, While Pillo is nowhere near as advanced as Baymax, Pillo has made remarkable progress in terms of our AI capabilities. Apart from managing and dispensing an individual’s medication at the appropriate time, it also automatically orders medication refills for the user, learns about and adapts to the health needs of its users, answers health questions based on these facts, and connects the user with the appropriate health professionals if needed. In terms of dispensing medication, an individual simply instructs the machine on how the medication works and the appropriate time to do so. But to ensure that the appropriate individual receives the correct medication, the machine uses face and voice recognition to confirm that the intended individual receives the intended medication. Pillo is ultimately one of many stepping stones in creating a real life Baymax, which holds an infinite amount of possibilities for the future of the medical field. Not only would such a system increase efficiency and reduce cost within a hospital setting, but it also has the potential to alter home health, specifically for the elderly. As one of the largest generations in human history, the Baby Boomers continue to rapidly retire. An unprecedented demand for full time care takers has surfaced. While there are specialised faculties for such care, they are costly and largely undesirable due to their isolation from family and friends, as well as their associated loss of personal freedom. Many family members also feel copious amounts of guilt for placing their loved ones in these facilities, even though many are unable to care for their loved ones full time. Personal AI health assistants could provide a partial and potentially more desirable solution to these economic, social, and personal concerns associated with both elderly care and care giving in general. Personal health robots, like Disney’s Baymax, are a not so distant future of AI that machines, such as Pillo, are anticipating. The medical problems that AI seeks to solve are not simply medical problems, but societal problems that encompass a wide range of fields. From a state responsibility perspective, governments must find a way to provide all of its citizens with health care, which requires a difficult but inevitable reallocation of resources. Aside from the obvious moral and humanistic implications of this issue, there are also serious economic implications, such as a reduced work force, reduced GDP, and even a reduction in resources. Beyond healthcare, however, nations are also plagued with how to best care for individuals who are unable to care for themselves, such as the disabled and elderly. Such work may be undesirable for certain people, which creates social concerns and stigmas in society, that if left unchecked can lead to death by neglect. Every citizen will eventually age and thus deserves a certain level of care and respect, but it is not necessarily the younger generation’s job to provide this care 24/7, especially when they are trying to live their own lives. While we may not have all the answers or agree on these issues, AI does provide a promising future in providing humanity with some assistance in navigating these issues in a humane and positive way.